October is Breast Cancer Awareness Month. 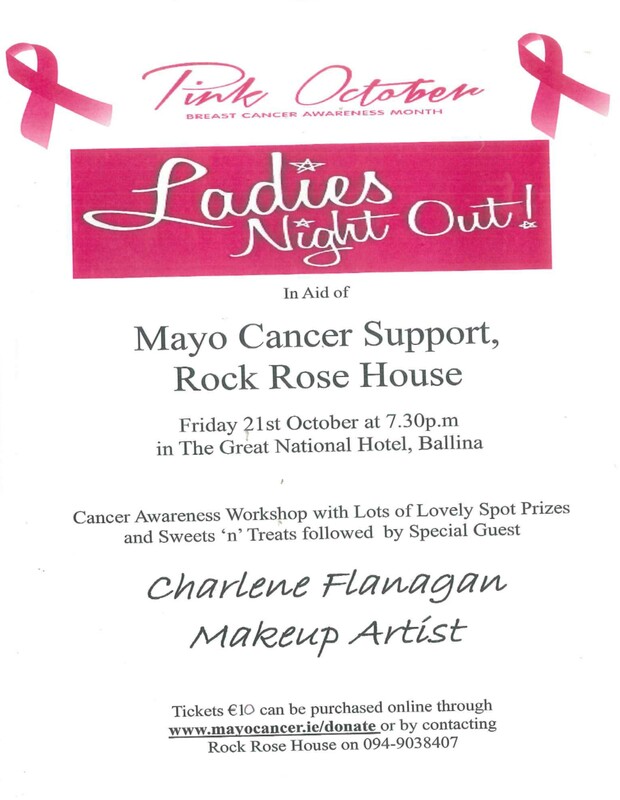 Show your support and join us for a Ladies Night on Friday, 21st of October in the Great National Hotel, Ballina. On the night we will have a Cancer Awareness workshop followed by a Makeup demonstration by Charlene Flanagan Makeup Artist. There will also be a raffle with Lots of Lovely Prizes. All money raised on the night will go to Mayo Cancer Support, Rock Rose House.